So I recently went fishing with my son and we had a great time. 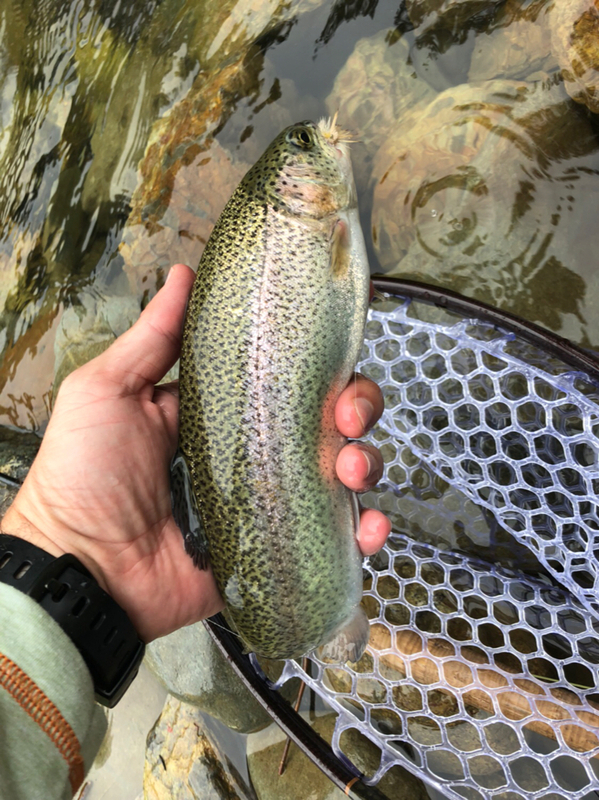 The trout were hitting on top water in the morning, nymphs around noon, and streamers in the afternoon. Good times, Goooood times. Cherish these moments. The only thing human kind ever learned through history, is that through history, human kind has learned nothing. As dharkin said; the smile says it all. Goodonyou. What caught who, and who caught what? 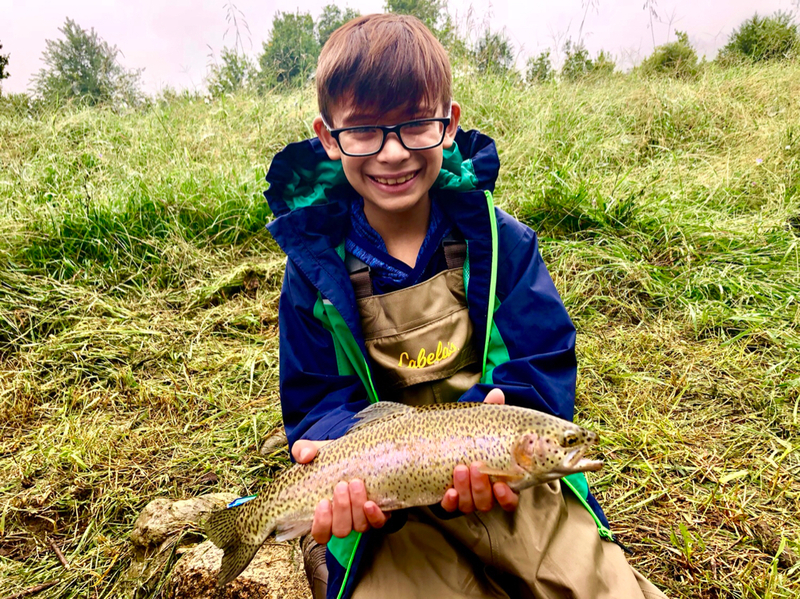 Looks like the bug caught the trout, and your son caught the bug. Looks like your son needs to teach me to catch rainbows like that! Looks like you both had a great time! Awesome day on the water, that smile says it all, congrats! Great day on the water you and your son will never forget!! That's the way to make memories for life.